One of the essential characteristics of successful architecture is the development and conveyance of an idea through design. When a space instills emotions and encourages visitors to think about that idea, even if it is subconscious, then the designer has impacted their lives. 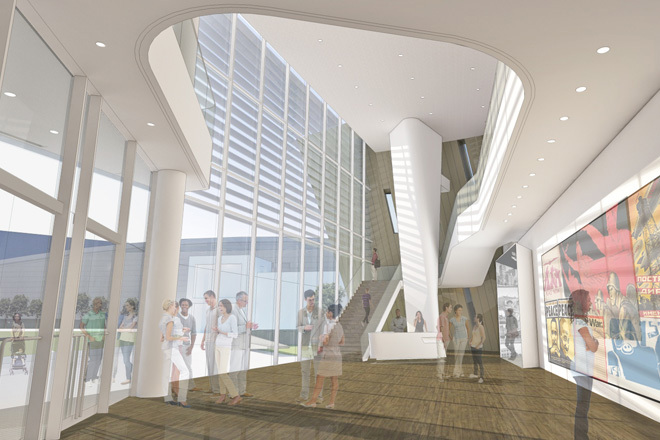 This refinement of an idea is the core of the design process for architect Phil Freelon, who presented his lecture Recent Museum Projects – From Idea to Realization at the BAC as part of the Fall 2013 Student Lecture Series. 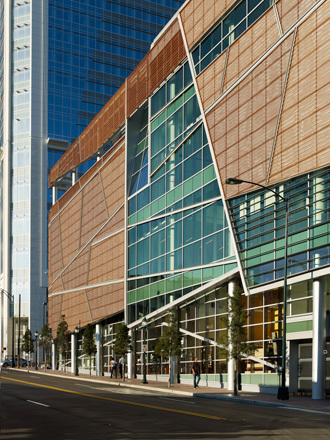 Freelon, who is the founder and President of The Freelon Group, Inc., designs his buildings to be materially sustainable and socially inclusive. He describes his design process as a cycle: a thought comes into his head; it is then conveyed to someone else as an expression, which leads to the development of an idea such as a design; then action is taken to produce the idea and share it, such as through built architecture. 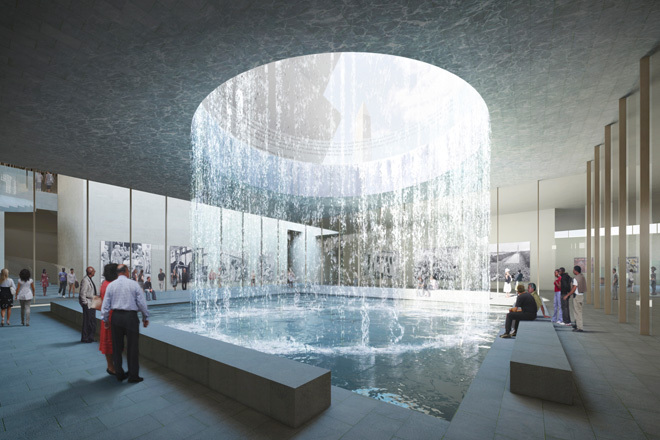 This process is evident in the first museum project that Freelon discussed: The National Center for Civil and Human Rights in Atlanta. The idea that was refined from thought to action was the powerful symbolism of interlocking arms, which was a common way in which civil rights marchers displayed their solidarity. 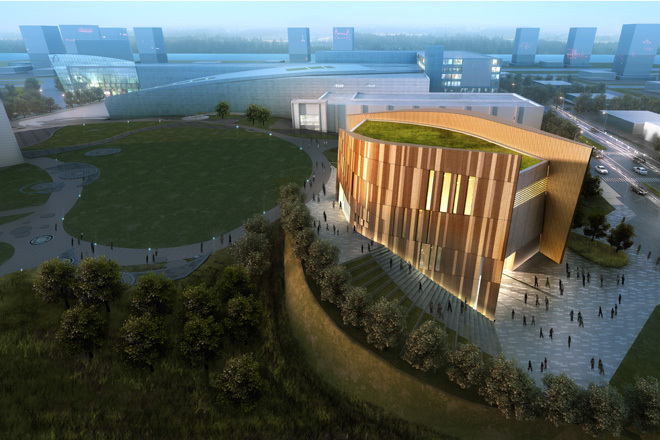 Freelon took this concept and developed a parti of two interlocking L-shaped units, representing two different elements coming together to form a whole. His use of geometry and materiality support this concept. To fully create the occupier experience that conveys this idea, the parti is integrated into human scale elements, such as the exhibit design and signage. 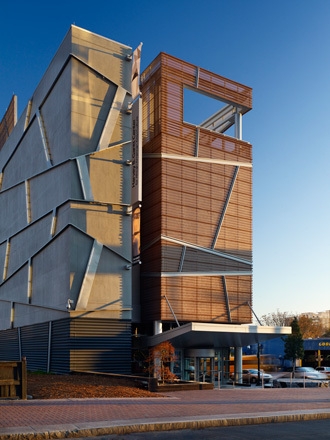 Another example of this approach to design is Freelon’s Harvey Gantt Center for African American Arts and Culture in Charlotte. 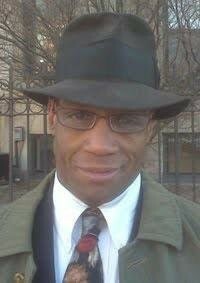 The site is in the historically African American Brooklyn neighborhood of the city, which was the home to the Myers School, also known as the Jacob’s Ladder School because education was seen as the way to progress from the challenges of the neighborhood. 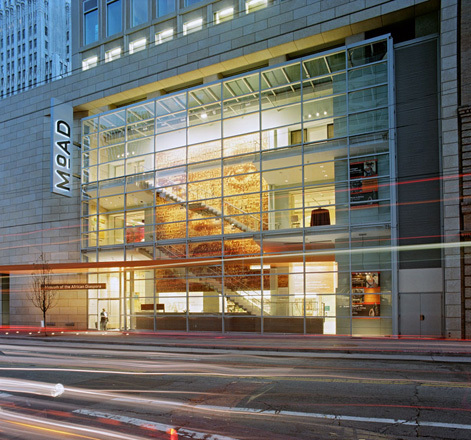 Freelon applied this idea of Jacob’s Ladder to the design of the museum in different ways, most notably as a way to raise the museum up from the ground to address the primary challenge of the site, which is above a truck ramp that leads into a parking garage. The ladder parti was also implemented in the interior and exhibit design to reinforce the message of the museum. 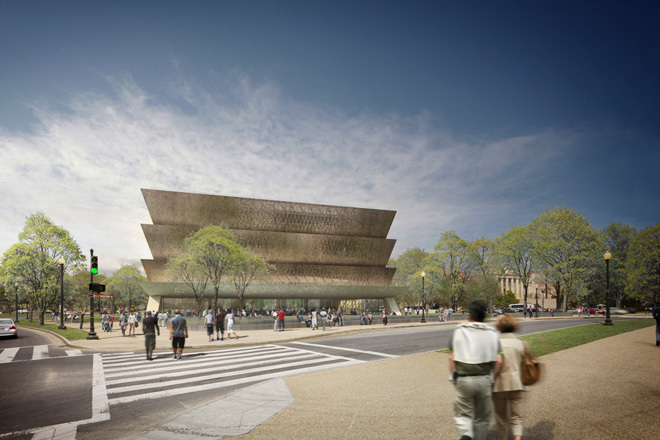 The National Museum of African American History and Culture is the project to which Freelon is currently applying his design process. The idea is that African American history is not about repression, but rather celebration. David Adjaye, one of the leading members of the building’s team of designers, submitted the crown of a traditional Yoruba caryatid statue as the parti that would allow the idea of celebration to be conveyed to visitors. The crown, which is somewhat reminiscent of an upside down pyramid, is repeated several times to allow opportunities for an intriguing facade that illuminates the interior in powerful ways to reinforce the idea. 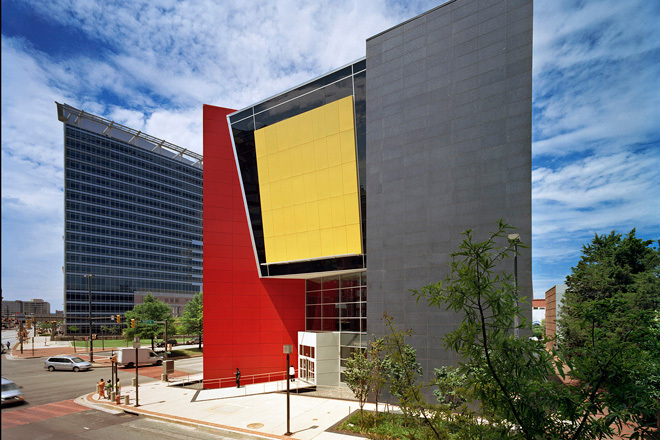 The importance that Phil Freelon places on creating not only an experience, but a meaningful and often inspirational experience, is what makes his architecture so successful. His careful attention to history and symbolism allow him to identify powerful ideas, and his ability to develop them along different scales allows him to convey them thoroughly and successfully. To see more of Phil Freelon's work, click here.